Want the latest in tech and European alpine style to outfit your passion? The Bogner Men's Lech-T Jacket locks in great protection from the elements while enabling full, natural movement. 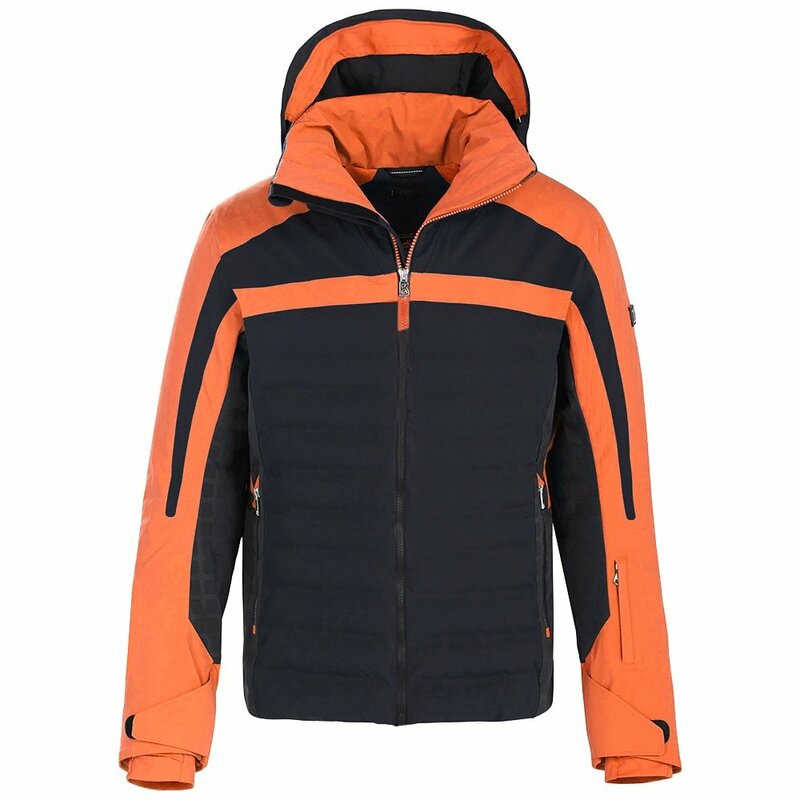 Crafted with a 4-way stretch shell with horizontal quilting and color blocking, this men's ski coat flexes with your body through your descent. Its 20K/20K rating blocks external moisture while letting perspiration escape. And it's insulated throughout, putting a layer of low-profile warmth between you and the elements. The Lech-T comes with underarm vents for custom cooling, wrist gaiters with thumbholes, and an adjustable hood that fits comfortably and can be removed when you don't need it.